So, I’m experimenting with a new WordPress layout. I know the text is hard to read right now and I intend to fix that, but it’s late and I have to go to bed. If I weren’t such a cowgirl I’d do my tinkering on a sandbox blog and not roll out any changes to the live site until everything was perfect, but I am and I did, so. I’ll make it better tomorrow. Update: I think I’m more or less done tinkering. The new layout adds some extra functionality like threaded comments and a search bar (at the right sidebar). How does it look in your browsers? Thomas the Tank Engine episodes aren’t overtly educational in the way Sesame Street is, but Robin loves them and I let him watch an episode most days, generally while I’m cooking dinner. He’s also watching one right now because I’m putting off going to the park in hopes that weather will clear up. One thing I do appreciate about the Thomas episodes is that they are really explicit about emotions. “This made Thomas cross,” or “James was feeling very proud,” or “Emily was pleased,” are common refrains in the stories. I read something the other day about how moms are much more likely to talk about emotions to their daughters than their sons—for instance, a question like “Why is that baby crying?” from a little girl would provoke a kind of story, and more engagement from the parent: “I don’t know, do you think he’s tired? Maybe he’s hungry?” While the same question from a little boy more often provokes reassurance, but not explanation: “That baby is fine, honey, his mommy is right there.” I can’t find it now, of course, so I have no idea if it was a rigorous study or just some educator’s vague impressions, but I made a mental note to talk more explicitly about emotions with Robin. 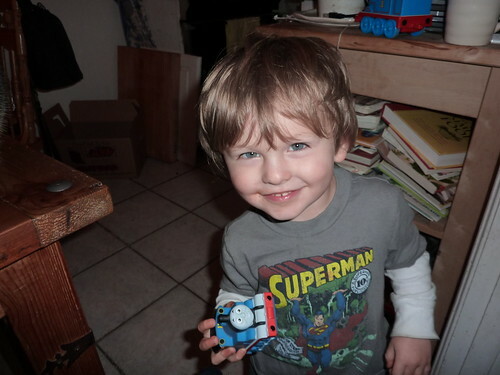 So, I kind of like that the Thomas show is reinforcing that. However, other aspects of the show just make me laugh. Firstly, the society of the Island of Sodor is pretty weird: Sir Topham Hatt is running some kind of railway monopoly, and clearly making a killing at it too, despite the fact that his terrifying, sentient, self-willed engines seem to make life a living hell for the poor commuters who rely on them for transportation. (And what jobs are these masses of people moving back and forth from? There doesn’t seem to be any big cities on Sodor, just quaint little towns like Tidmouth, which might support a few shops and farms but certainly aren’t housing large office buildings or major industrial complexes—with, I guess, the notable exception of the ice cream factory). That’s right. Thomas the Tank Engine is teaching my child about the virtues of queueing. We’ll see if it sinks in next time I have to go to the post office! Last week I pretty much failed at vegetables. First, I tried to get rid of our squash backlog by making butternut squash puree, as I read you can use squash puree instead of pumpkin in recipes for pumpkin bread or pumpkin pie. Unfortunately, I only got as far as roasting the squash; then I forgot about them, and left them in the oven for two days, at the end of which they were moldy and had to be thrown out. I felt more relieved than guilty, to be honest, but I do think I’ll call up Capay Farms and ask them to reinstate the squash in our box. Then, a couple days ago, we all came down with a horrible cold. Well, Robin and Sam mostly just had stuffy noses, but I seemed to be hit harder; for a while I was afraid I actually had the flu, as in addition to the congestion I was running a low fever, ached all over, and could barely muster the energy to move from bed to couch. Yesterday I was pretty much flattened, but today I felt much better and went about our routine as normal. Anyway, I didn’t cook for a couple of nights. So going into this new week (vegetable weeks start on Wednesday, as that’s when our box is delivered) we had on hand: lettuce, chard, leeks, and bok choy. Then in our box we got more leeks, more chard, and more lettuce, along with kale, broccoli rabe, six kiwis, and a bag of fingerling banana potatoes. Tonight I made the polenta with chard recipe that I didn’t do last week, using both bunches of chard and all of the leeks as well. Tomorrow I’ll make hot and sour soup with the bok choy, and then on Friday a winter pesto with the kale and collards. Saturday I’ll make some kind of salad. Sunday I’ll roast a chicken with the potatoes, and then make stock from the carcass, as I’m out of chicken stock. Monday, pasta with sausage and broccoli rabe—and then we’ll be all caught up with vegetables! This week we had another meeting with the midwife, and she went into the ultrasound results in a bit more detail. She confirmed that Davy is looking perfect in every way, but mentioned that a couple of other things had turned up on the scans: for one, I have another dermoid (benign) cyst, just like last time, although this time it’s on the other side. As with my last pregnancy, it most likely won’t cause an issue, but it’s something to monitor. 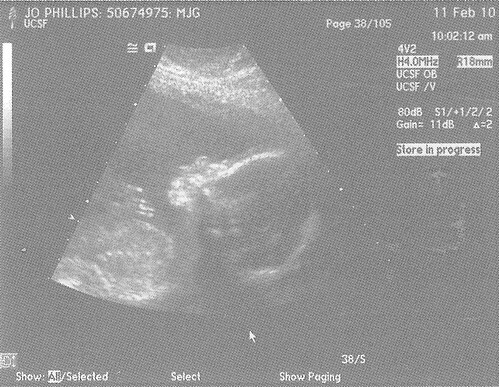 Anyway, the upshot is that I’m going to have more ultrasounds—which to be honest is kind of nice. I’m always happy to get another look at the wee one. I just noticed that on the Capay Valley site, you can check and see what will be in your box for the upcoming week. That could be really handy if, for example, we switched to doing a big grocery shop on the weekends instead of me walking to the store every day like I do now. Anyway, it looks like next week they’re planning on sending us another butternut squash. So I just called them up and asked, please, no more squash for the time being. The lady on the phone was super nice and asked if there was anything in particular we’d rather have: I said we’re loving the potatoes. Gold star for customer service, Capay Valley Farms! This week in our veggie box we got a couple pounds of little yellow potatoes, which are identified as fingerling Russian banana potatoes. They came in a brown paper bag which I put up on the counter. I was reminded of this as I stepped out of the shower this morning, and Robin came pelting up to me and handed me a potato. Then he ran away. As I toweled off my hair he came back with another potato, and gave it to me. When I followed him into the kitchen I found that, indeed, the potatoes were strewn all over the floor. The funny thing is that I haven’t been able to find a shred or scrap of the brown paper bag. The upshot of this is that Robin can obviously now reach things on the kitchen counter. He has to stand on tip toes and stretch his arm up, and he can’t actually see what he’s groping for, but he’ll pull down anything that he touches. Ridiculous child. At least he’s pretty good about picking things up again: when I got a bowl for the potatoes, he quite happily picked each one up off the floor and dropped it in the bowl. In the box we also got two heads of lettuce (butter and red leaf), a bunch of carrots, some bok choy, kale, collard greens, chard, two leeks, and six kiwis. We also had a lot of leftovers from last week: the shepherd’s pie and the caldo verde both lasted a while, so I still have a leek and a head of lettuce on hand that miraculously is looking just fine. And of course I still have three butternut squashes to deal with. So I’m a little overwhelmed with veggies at the moment. Tonight we’ll have a big salad, with hard-boiled eggs and ham as well as the broccoli and carrots. Tomorrow night I’ll make pork chops smothered in spicy collard greens, and Sunday we can have polenta with chard and leeks. Monday I’ll use the rest of the lettuce in a seared tuna salad—they tell pregnant women not to eat sushi-style fish, but I think it’s fine if you get your fish from a trustworthy source and handle it sensibly. Tuesday, bulgur salad with kale, salami, and olives. That’ll leave the bok choy and the potatoes (and the squash) to deal with next week. Maybe on Wednesday I can make a bok choy-potato-squash casserole. Mmmm! This is a pretty ridiculous thing to worry about, but as San Francisco celebrates the Chinese New Year, I’ve been looking up Davy’s horoscopes: aaaaaand they’re not particularly auspicious. Let me start by saying that I’m not a believer in astrology in the way people mean when they ask if you “believe in” these things—no, I don’t believe that the pull of the planets has a direct affect on brain chemistry, or anything like that—but I’m attracted to complex symbolic systems of all types, and I do think that we cannot help but use the folklore of our societies as we define ourselves. For instance, I was born in the year of the Dragon—a fact I learned early from the place-mats in Chinese restaurants—and that knowledge has affected me to a certain degree throughout my life. I have also had at least one experience with Eastern astrology that I just can’t explain. I had a really difficult time in my freshman year of college; it all culminated in a suicide attempt towards the end of the year that landed me in the psych ward for a brief time. It was without a doubt the worst period of my life. My dad was on a Fulbright to Korea at the time—going, he said later, a little bit crazy with worry and the inability to do anything from so far away—so when I got out of the hospital he sent me a ticket to Seoul. This old man, he asked me nothing except the exact time and place of my birth. He wasn’t a cold reader. He didn’t fish for information: he wasn’t actually interested in hearing from me at all. He just consulted a lot of charts and papers, and then started talking. He was specific and accurate: one of the things he told me, quite matter-of-factly, was that I had just emerged from depression and danger of death. Then he gave me some herbal recommendations for balancing out my health, and sent us on our way. So, I guess this is all a long-winded way of saying that I consider myself neither a believer nor a skeptic when it comes to astrology: I mostly just think it’s interesting. Where Robin is a Yin Fire Pig, a well-balanced sign pointing to an amiable and loving temperament, the Yang Metal Tiger is associated with great courage but also extreme combativeness. The metal element only makes the naturally ferocious tiger sharper, inflexible, and more reckless: not a great combo. Plus, Sam, Robin, and myself are all born in Fire years, but Metal doesn’t like Fire. Astrologically, 2010 is forecasted to be an angry, tense, and violently unpredictable year. Sorry! It’s just what I’ve read! And of course those born in this year (supposedly) risk inheriting these qualities. At least Davy’s due date will make him a Cancer, a feminine water sign that’s supposed to have a tendency toward caution. I’m mixing Eastern and Western systems with wild abandon here, but I’m glad that his sun sign will provide him with some much-needed balance. I guess he’s also going to need extra water and earth influences around him to balance out the metal/fire conflict he’s born into. I dunno. 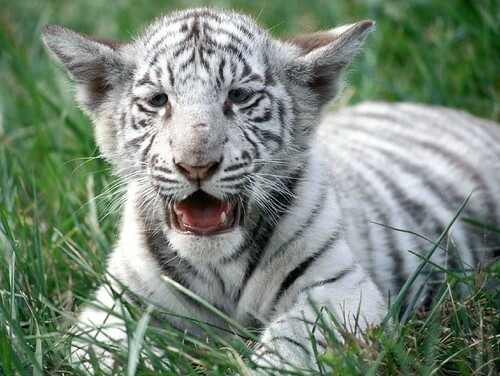 If I do end up with a combative little white tiger cub in Davy, maybe I’ll drag him to Chinatown and see if I can find an old astrologer to prescribe some herbs. It worked pretty well for me. Robin had his two and a half year checkup yesterday too: it was pretty quick, in and out, boom. 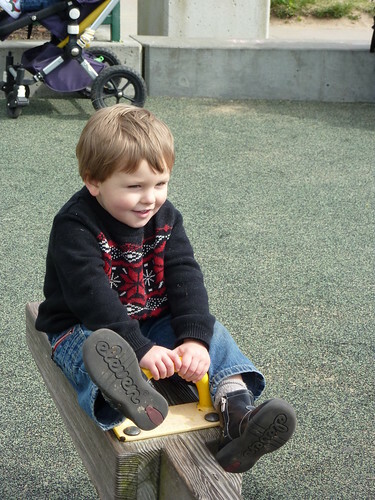 He’s 35 inches tall and 28 pounds, which puts him in the 35th percentile for height and the 30th percentile for weight. So he’s on the small side, but his growth curve is normal and the doctor described him as a “well-nourished child,” which is always what a mom likes to hear. Language-wise he’s still a little bit behind, although he’s making steady gains and the doctor says that’s the most important thing. Ideally we’d be able to understand about half of what he’s saying at this point; I think we’re only at about 20 percent, although my guess is that 40 percent of what he says is actually intended to be English. The doctor advised us not to worry so long as Robin’s language skills continue to progress. He gave us a little printout of Robin’s vitals that says “no major problems” right at the bottom. So we have it in writing! So…we had the first ultrasound today, and it looks like we’re having another little boy. The midwife will go over the results with us when we see her next, but from what the ultrasound technician said it sounds like Luke David (“Davy”) Phillips is shaping up just as he ought, measuring within a couple days of his due date on all the charts. 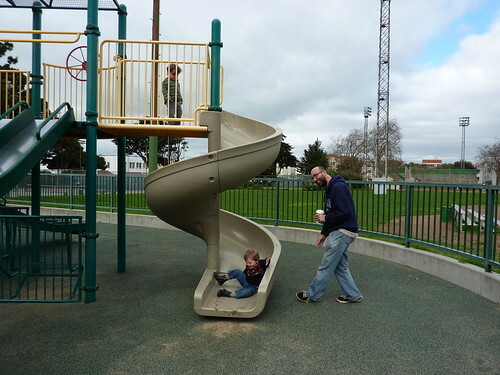 We got some pictures—Sam will scan them tomorrow and I’ll add them to the blog. I did want (and still want) a little girl whose hair I could put in pigtails, and who would have tea-parties with me, but little boys are wonderfully sweet and I’ll be delighted to have a pair of them. “It’s good for a boy to have a brother,” my friend Matt told me, “and then when you have a girl she’ll have two older brothers to look out for her.” Which is a nice thought. Robin was in the room for the ultrasound, and seemed pretty interested in the first glimpses of his baby brother, even if he did keep saying “Fwee!” which is his word for fishie. I guess a fetus is something like a fish at this stage, suspended in amniotic fluid and all that. I just hope he’s not disappointed when Davy doesn’t come out a little merman.